Ingredients: Cold pressed, extra, virgin olive oil, organic, local, hand-picked chickweed herb, local bees wax, natural vitamin E oil. 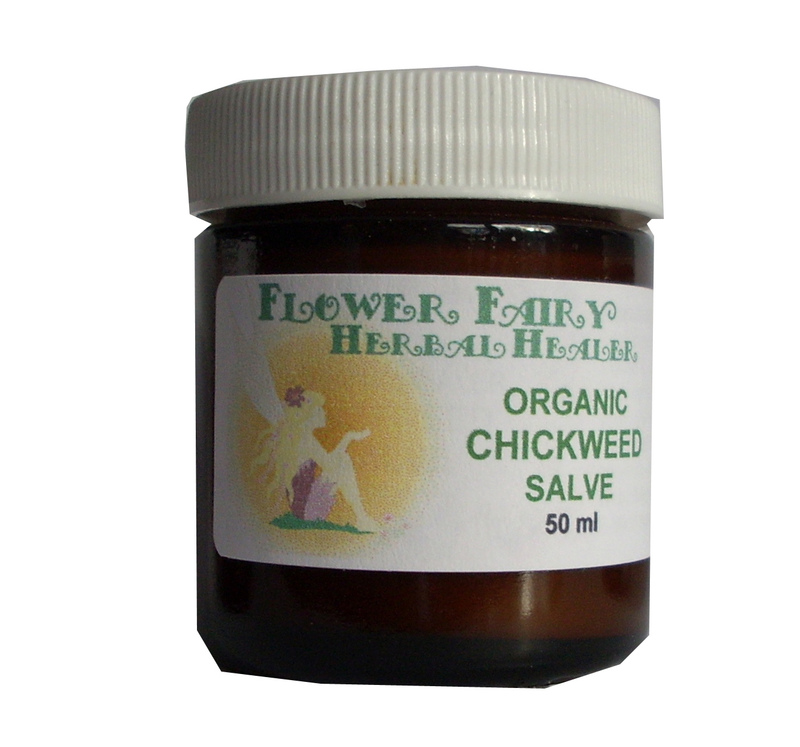 Directions: A soothing, protective, healing salve to use externally on mild cuts and wounds. It may aid in the itching and irritation associated with mild eczema & dermatitis, mild psoriasis, general rash, heat rash or baby rash. In an amber glass recyclable jar.